It was a beautiful summer’s day. Annie was in the aviary, feeding the chickens. 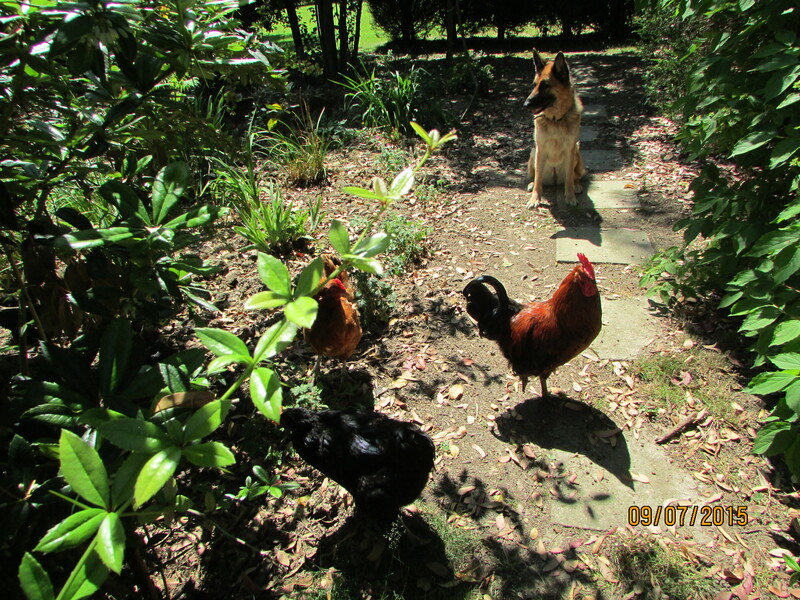 They all crowded round her, pecking at the corn and kicking it around. They were very messy eaters! Annie sat on the clean hay and watched them. It was a very happy group. Suddenly, she felt a sharp pain on her arm. “Ow!” she said and jumped up. Next to her was Henry, one of the cockerels. He had fluffed up his feathers, stretched out his neck, and was hopping from side to side. He wanted a fight. Annie stood up very quickly and went back to the house. 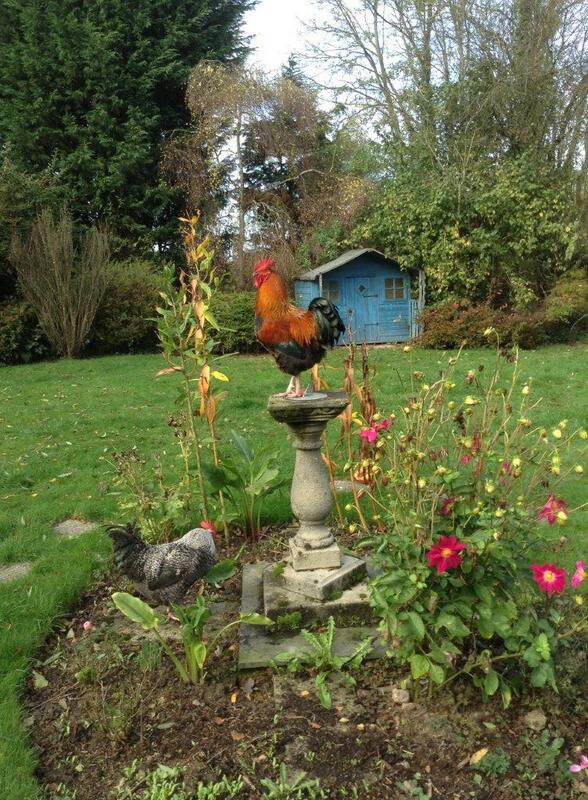 Every day after that, whenever Henry saw someone, he would try to peck them. It hurt. Annie had a big bruise on her arm. He had pecked Annie. He tried to peck the boys. He tried to peck Husband. He tried to peck the girl. They were all very cross. When he tried to peck them, they would push him away with their boot. This made Henry worse. He would make himself very tall and dance from side to side. Once, Husband went to kick him. Henry then did a flying jump, trying to claw Husband. On Henry’s legs were very sharp claws, like knives. If they had touched Husband, they would have cut him. Husband got the garden rake and used it to keep Henry away. Henry was a problem. If anyone wanted to go into the garden, they had to take the rake with them. They could push Henry away with the rake, so he couldn’t hurt them. Annie was worried. She asked her friends what she should do. Some friends said she should lock up Henry in a cage, then he couldn’t hurt anyone. Some friends said she should send Henry to a different garden to live. Some friends said she should give Henry a big kick. Some friends said she should eat him. Annie didn’t like any of these ideas. She decided to look on the internet. 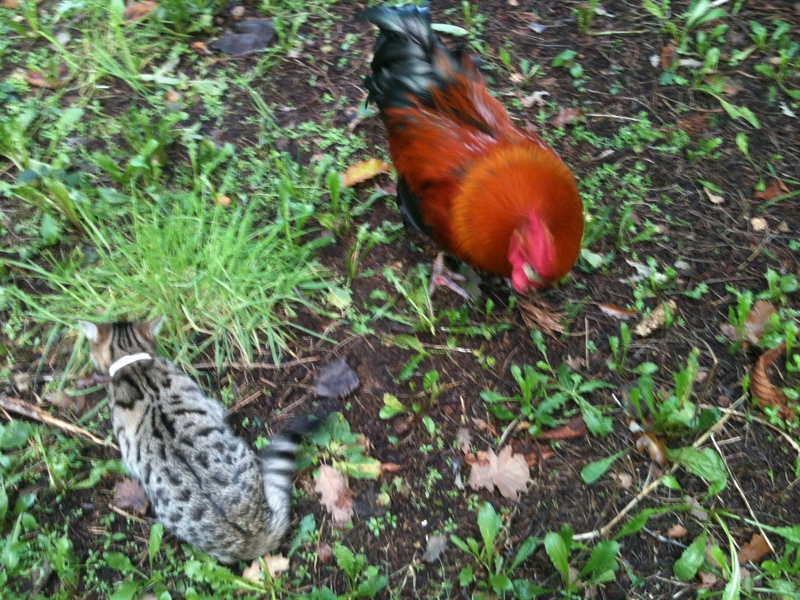 She found someone else who had a problem with a cockerel who wanted to fight. She read lots of information. She learnt what to do. The next time that Annie went into the garden, Henry came running over. He started to do his special fighting dance. Annie folded his wings into his sides and picked him up. She tucked him under her arm. Now Henry knew that Annie was bigger than him. 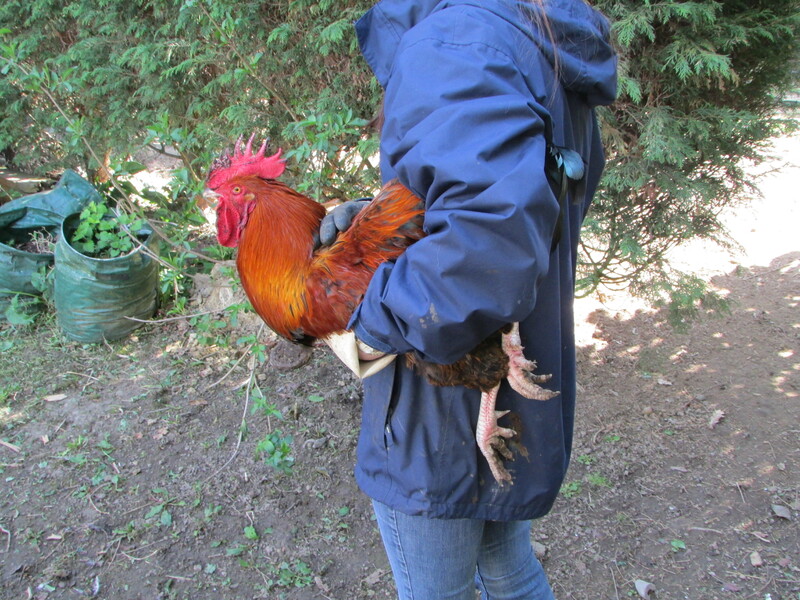 Then, while Annie fed the chickens and changed their water and checked the ducks, she kept Henry tucked under her arm. Now Henry knew that Annie was bigger than him AND that she did not want to fight. When Annie put Henry back on the grass, he ran away. Cockerels are bad fighters. They never stop the fight until someone has won. Sometimes this means they kill each other. The family had to teach Henry not to fight them. They had to show him that they were bigger but they did not want to fight. Then Henry stopped trying to attack them. 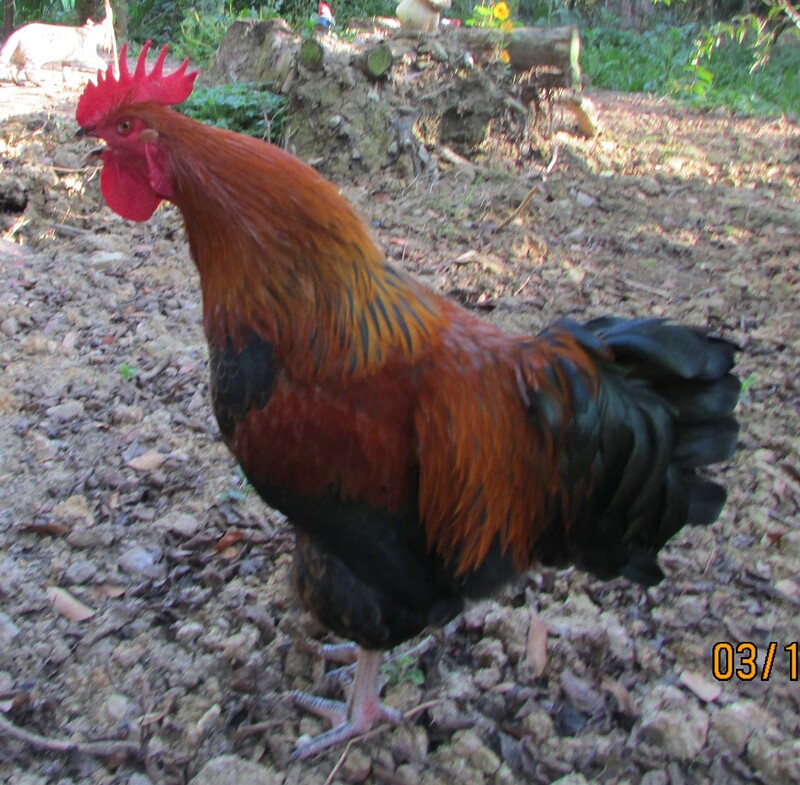 He went back to pecking the corn with the other chickens and walking around the garden with the cats and the dogs. Everyone was happy again. When someone wants to hurt us, it is hard to not fight back. Sometimes fighting is the wrong thing to do.